Rita McNamara remembers that she found out about the contamination when her well broke, and she started planning for a new one. She was walking her property with a well driller when a woman from the county health department drove up. This risk zone is big. 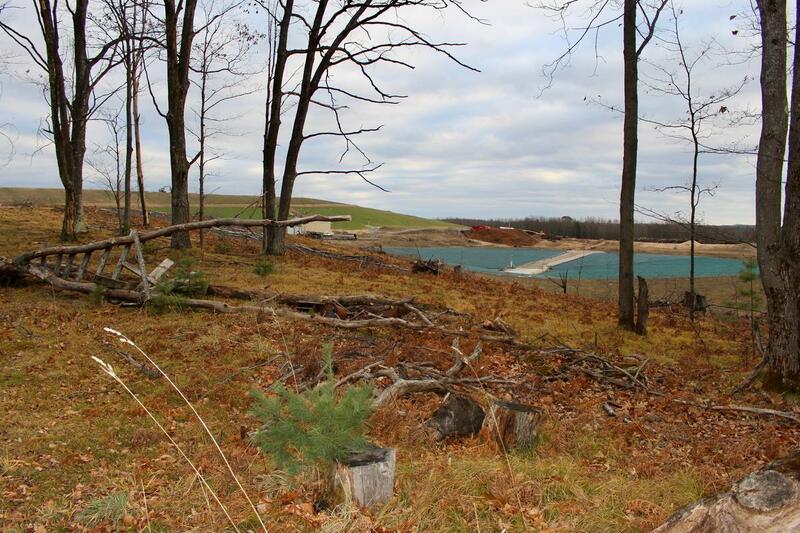 It stretches from a landfill that’s more than 100 acres, and it covers dozens of houses. Decades ago, industrial waste dumped at the site south of Traverse City contaminated drinking water. The latest controversy involves leachate – a liquid byproduct of landfills. State officials say if the salty liquid leaked, it would make water undrinkable. A company called American Waste took over the Wexford County landfill in recent years. It wants to inject the leachate underground instead of trucking it away as waste. “They can only be injected into deep formations that are isolated from freshwater,” says Hal Fitch of Michigan’s Department of Environmental Quality. It’s one of the agencies that will decide if American Waste can inject the leachate underground. He says that would be about 2,000 feet below the freshwater people drink. “And in between that freshwater zone and the proposed injection zone are multiple layers of very low permeability rock,” Fitch says. There are nearly 1,400 active injection wells in Michigan right now, he says. Most are for oil and gas byproducts. And, he notes, Michigan has a long history of safe injection wells with no cases of contaminated drinking water. American Waste declined to comment for this story. A representative has told officials the well would follow safety requirements. But residents still worry about the company’s plan. So does Christopher Grobbel, an environmental consultant in Michigan. Grobbel says there might not be evidence of groundwater contamination, but there was evidence of soil impact. And injection wells have contaminated drinking water in Florida and in Texas, he says. Local municipalities around the Wexford County landfill have also come out against the proposed injection well. Mike Shriberg, who runs National Wildlife Federation’s Great Lakes Regional Office, says landfill contamination issues seem to be increasingly common. “While fresh water may be abundant in this region because of the Great Lakes, we have areas where safe drinking water and clean water is not assured,” he says. He says there is a range of problems with drinking water – from lead contamination in Flint, Mich., to algae blooms in western Lake Erie. There’s also runoff from industry and military bases. Fitch says his agency cares about public input, but ultimately, the state will follow the law. A public hearing on American Waste’s plan is expected in the next few months. Then, state and federal agencies will make a decision on the injection well.